A warm welcome to our September monthly news bulletin. We hope our readers from the northern hemisphere have enjoyed their summer break, and that the (impending) start of the academic year finds you well. You will discover six stories in this edition, including: full details of next month's event celebrating Andrew Wiles and the anniversity of his proof of Fermat's Last Theorem; an exciting rebrand for the Turing Gateway to Mathematics; two key INI documents for download; news of a statistical competition; and a further update to our Benians Court refurbishment project. We hope you enjoy each one. 5. COMPETITION: could you provide the RSS "UK Statistic of the Year"? 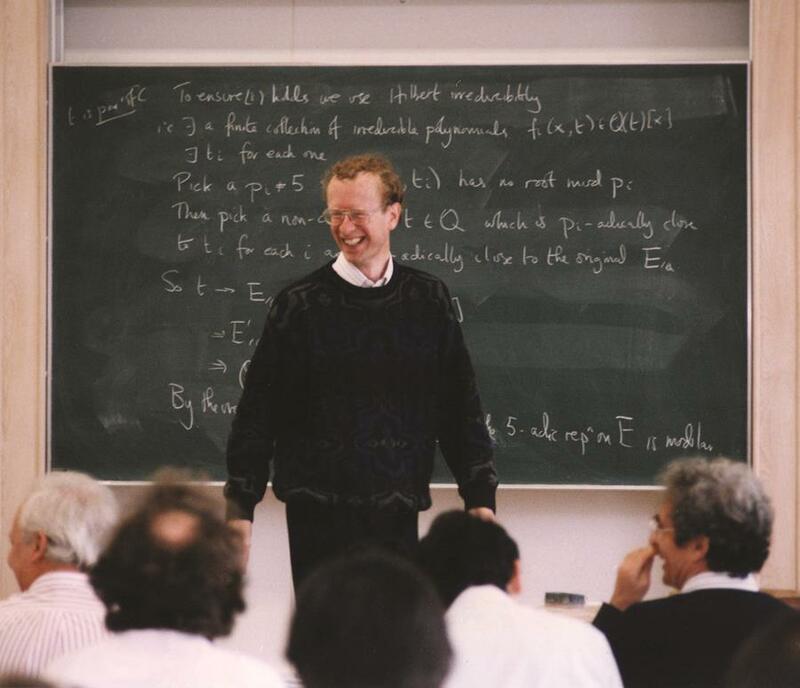 The Institute is delighted to announce that on the afternoon of Monday 1 October 2018 it will be hosting an event to celebrate the 25th Anniversary of Sir Andrew Wiles famously announcing at the Institute his proof of Fermat’s Last Theorem. More information can be found on the Institute's web site, using the link below. To apply to attend this exciting afternoon event, please follow the link below. Please forward information about this event to colleagues that might be interested. The Turing Gateway to Mathematics (TGM) was established in March 2013 as the impact initiative of INI. It was named after Alan Turing because of his exceptionally wide influence across a broad range of areas. Since then, the TGM has consolidated its presence, delivering a range of activities across a number of different themes and sectors including biology and healthcare systems, environment and energy, financial risk, security, Big Data and public policy. 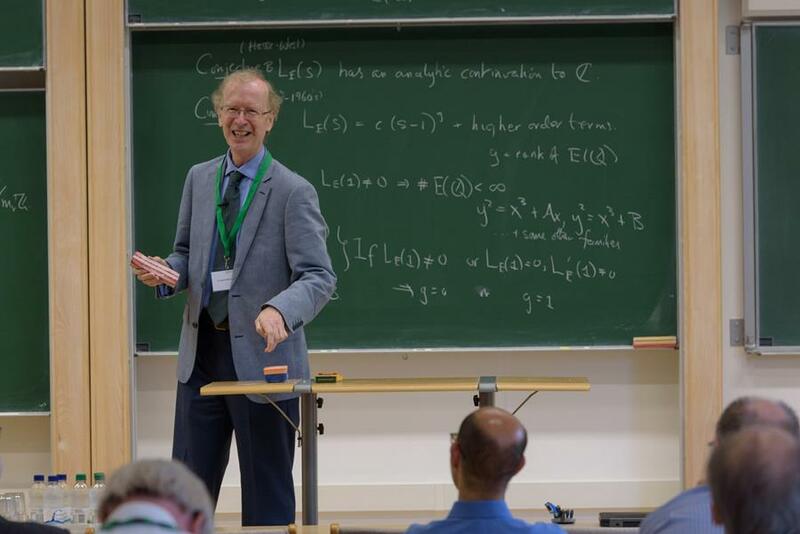 The TGM delivers activity to support the Research Programmes of INI, by bringing those from industry/business, other academic disciplines and the public sector together with mathematicians to provide the opportunity to access state-of-the-art mathematical theory and methods. Basically, the TGM provides a gateway between mathematics and the users of mathematics. Additionally, it fosters links between various communities working collaboratively with other partners across multiple areas, communicating and translating mathematical sciences knowledge to support effective engagement with end users. The TGM continues to expand its activities and runs over 20 events per year, attracting delegates from multiple sectors and disciplines. This increasing scale of activity is such that the TGM needs to reinforce its identify as both an integral part of the Isaac Newton Institute and as a national facility for knowledge exchange for mathematical sciences in the UK. There is the additional need to avoid confusion with other organisations and it has therefore been decided to rebrand TGM as the Newton Gateway to Mathematics. The name change will be phased in during the rest of this year, with a formal launch on 1 January 2019. If you have any questions, please contact Jane Leeks. 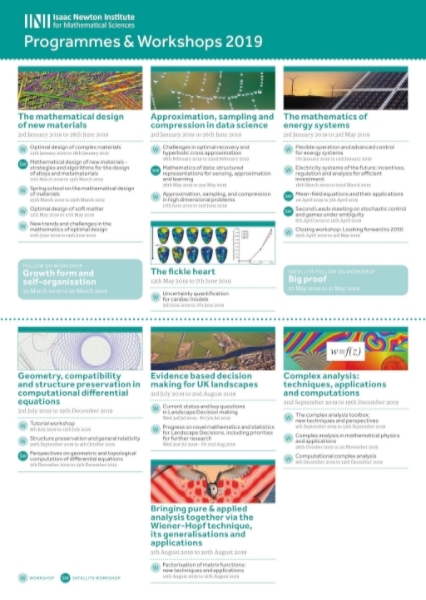 The 2019 version of INI's annual programmes poster - which details every programme and workshop currently scheduled to take place at the Institute within that year - is now available for download. Please click the link below to access a printable .pdf. The full scientific report for the Statistical Scalability programme - held at the Institute between January and June of this year - is now available for download. This document details the chief outcomes from the full six months of collaborative research undertaken. The Royal Statistical Society is seeking entries for its annual "Statistic of the Year" awards. Last year's winner in the "UK" category highlighted that "0.1% is the percentage of the United Kingdom land area that is densely built upon". Further details and entry criteria can be found via the link below. A short excerpt from the competition's publicity materials follows. "Last year’s winning and commended statistics were on topics such as causes of death (including lawnmower fatalities) in the USA, declining teenager pregnancy rates, the continuous urban fabric of the UK and the number of active phone connections worldwide. For 2018 we are expecting to commend an even broader range of statistics which will capture the year so far. All you need to do is fill out a simple entry form. We have a judging panel, chaired by RSS's president, Professor Sir David Spiegelhalter, of eminent journalists, economists, statisticians and pollsters to decide on the winning and shortlisted statistics, which will be unveiled in December". In our July bulletin we highlighted the refurbishment work currently being undertaken at the Institute's Benians Court accommodation block. Since then, the first of the four phases has neared completion. With much of the existing plumbing and electrical infrastructure having been replaced, and the internal walls having been reconfigured, this first group of apartments are now ready to be "made good". The project is on schedule to reach its July 2019 completion date. A selection of images from the recent works follow below.